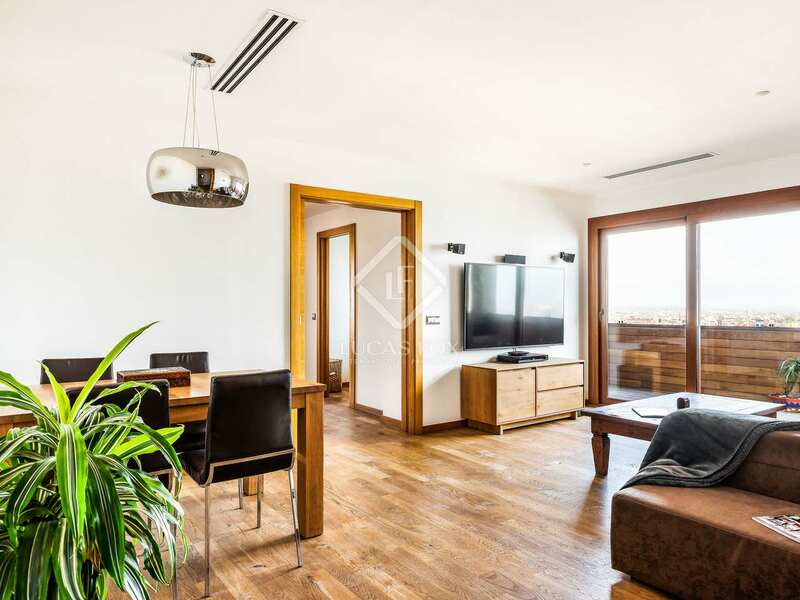 Incredible 3-bedroom apartment with a terrace and stunning views of the city, the sea and the mountains in a building dating back to 1973. 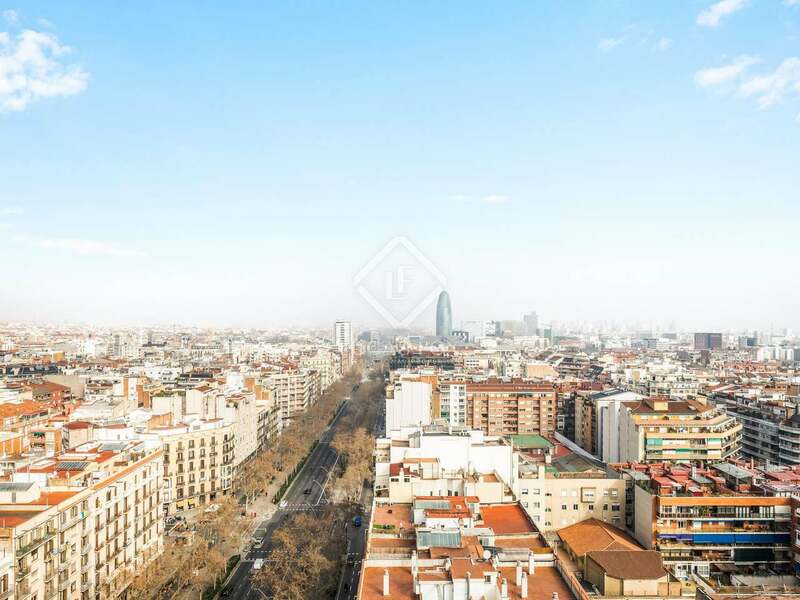 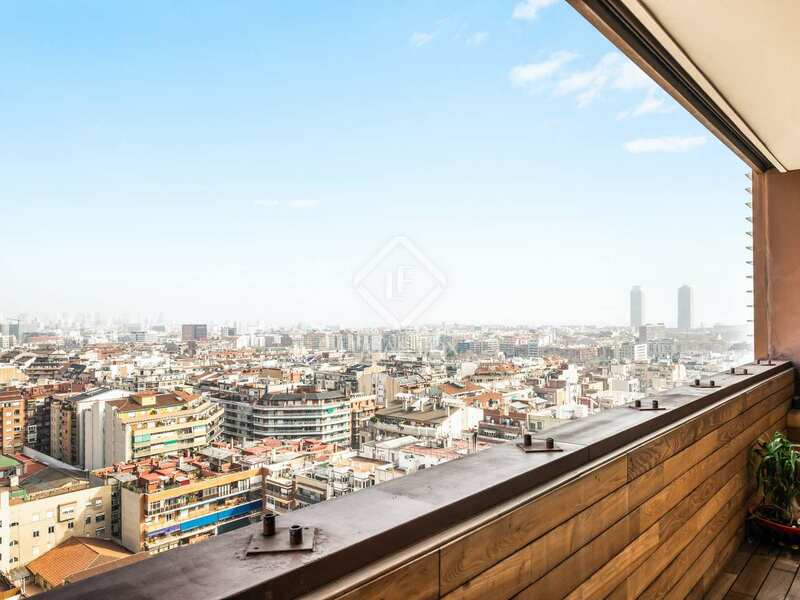 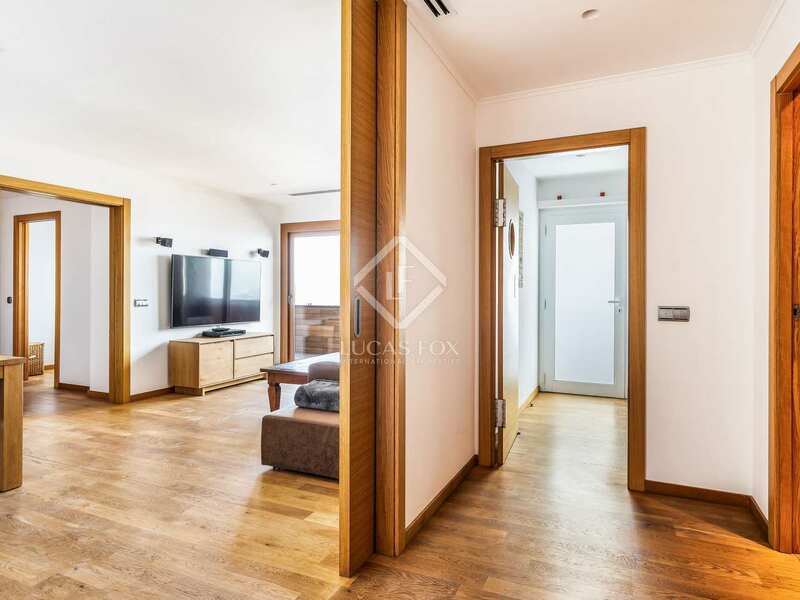 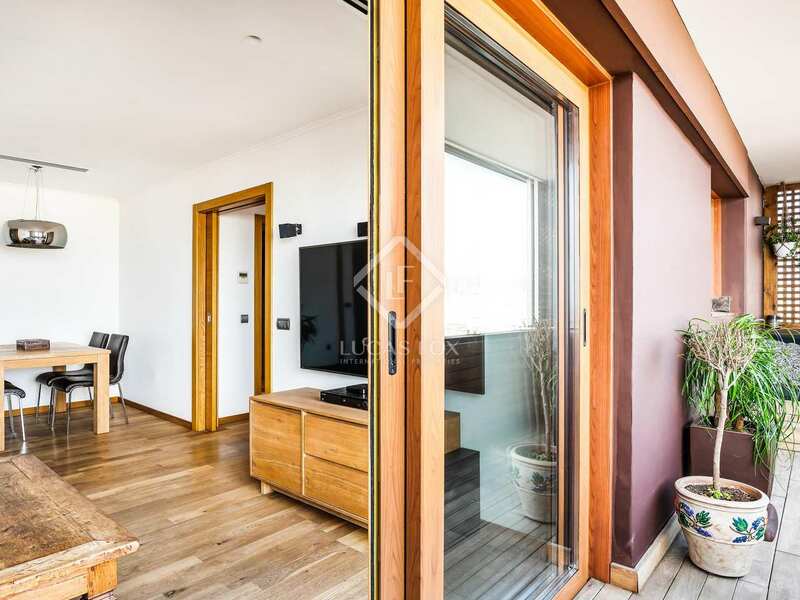 This fantastic renovated apartment with high quality materials and finishes is on a high floor and offers magnificent panoramic views of Barcelona from a nice terrace. 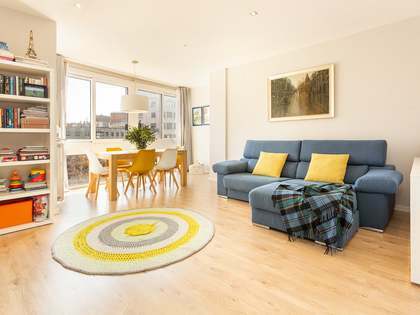 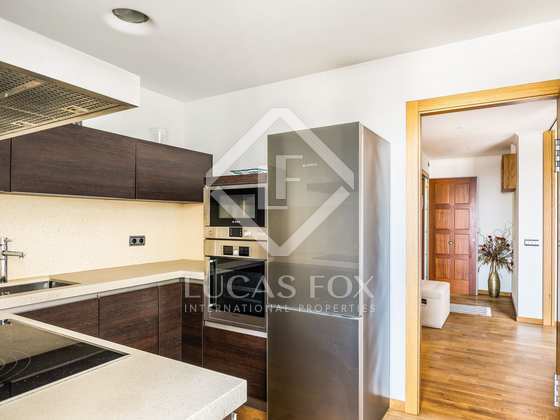 The property has bright rooms and a square layout with very well used space. 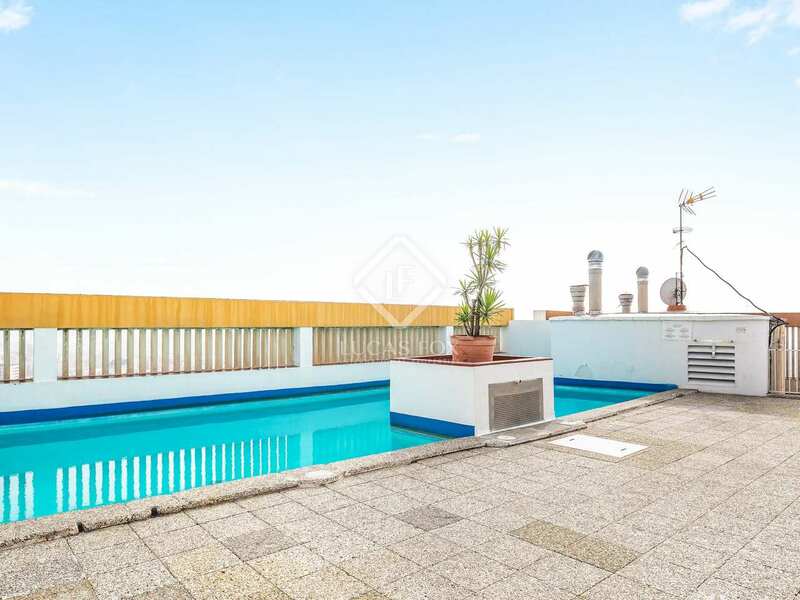 It is located in a building which dates back to 1973 with 3 lifts, a porter service, and a pool and solarium on the top floor for residents' enjoyment. 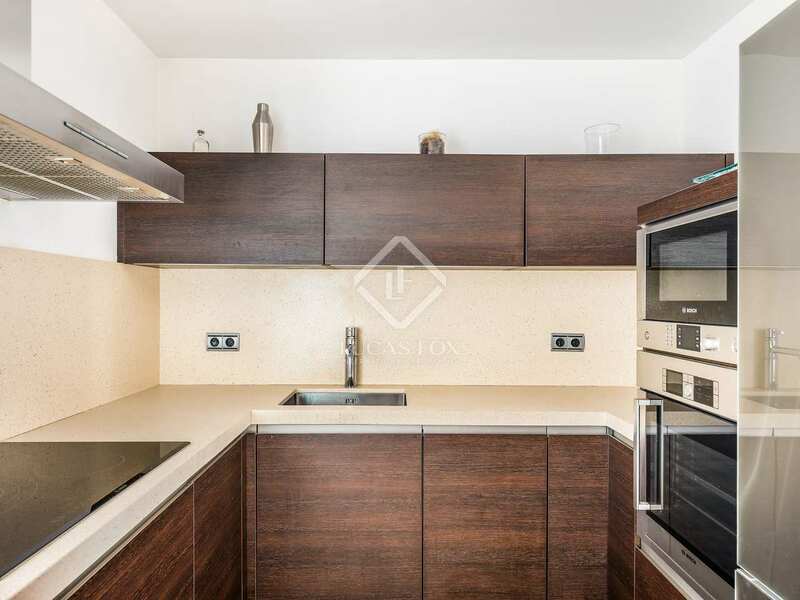 Upon entering, we find a large hallway leading to a practical separate kitchen which is fully equipped and has access to a gallery with a utility area. 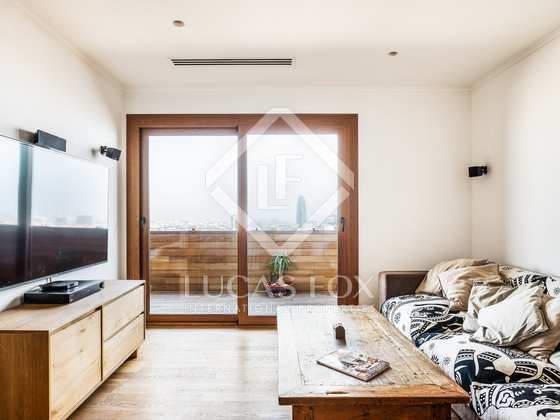 Next, we find the living room, which is spacious and comfortable, flooded with natural light and with access to the terrace of 12 square metres. 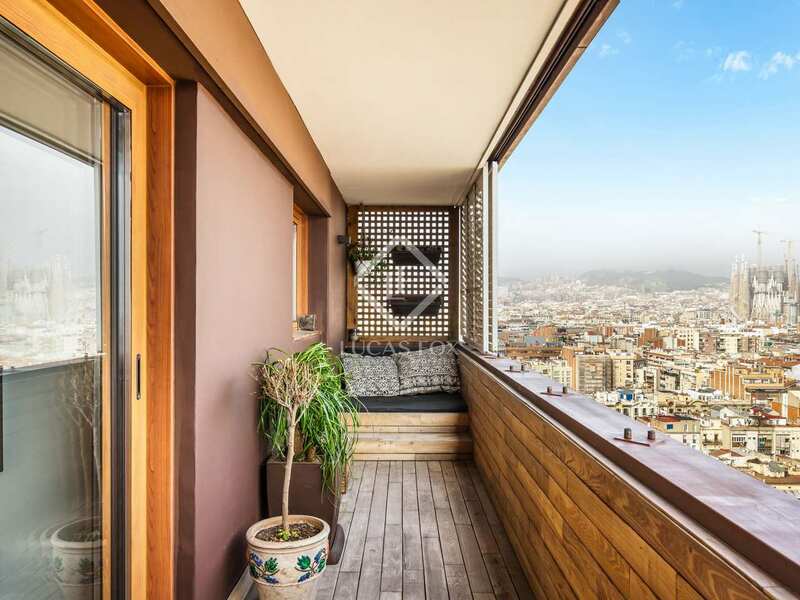 This space offers stunning views of the city of Barcelona and even glimpses of the sea and the mountains. 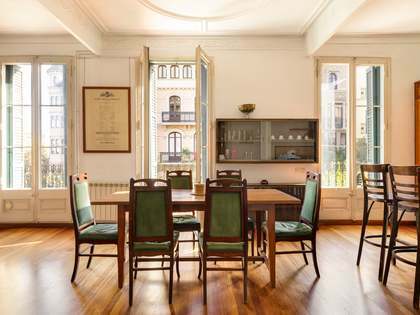 It is the ideal place for a table and chairs to enjoy the Mediterranean climate, have breakfast on weekends or have a drink with friends. 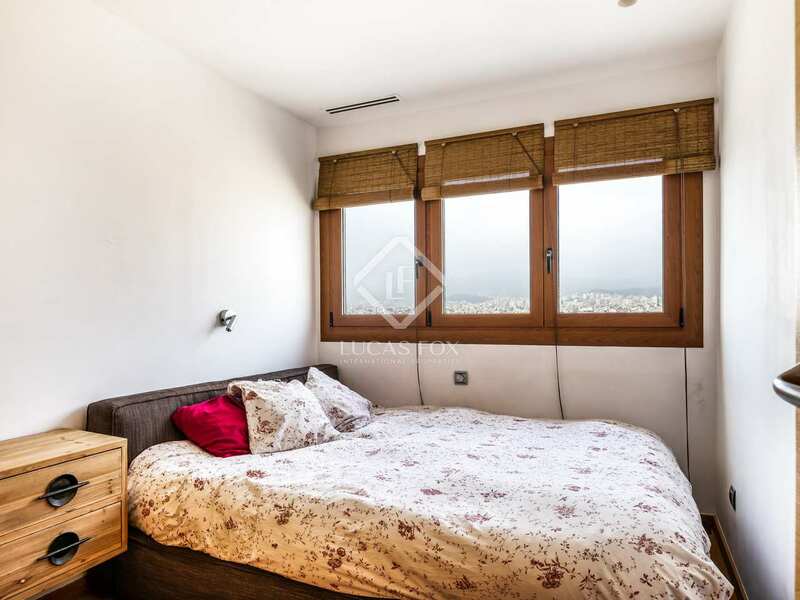 In the night area of the apartment we find 3 bedrooms: 2 doubles and 1 single, all comfortable and welcoming. 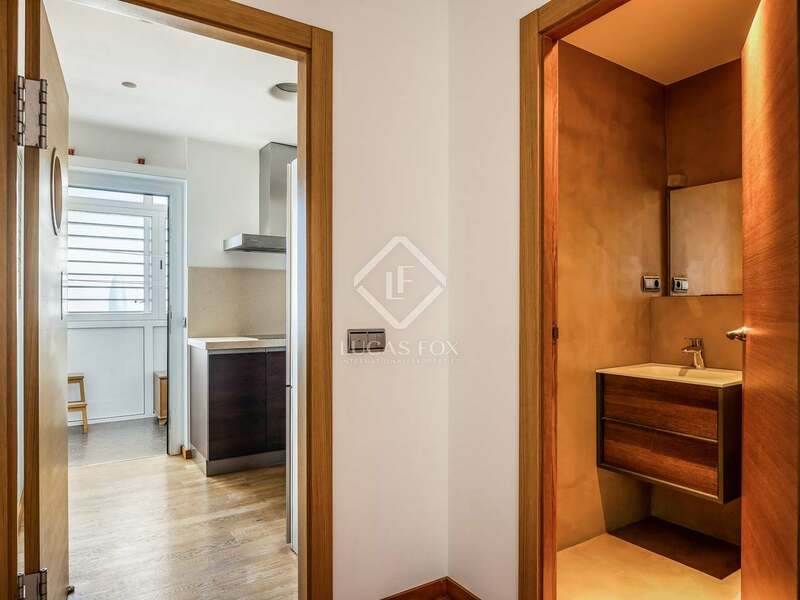 A complete bathroom and a guest toilet complete this home. 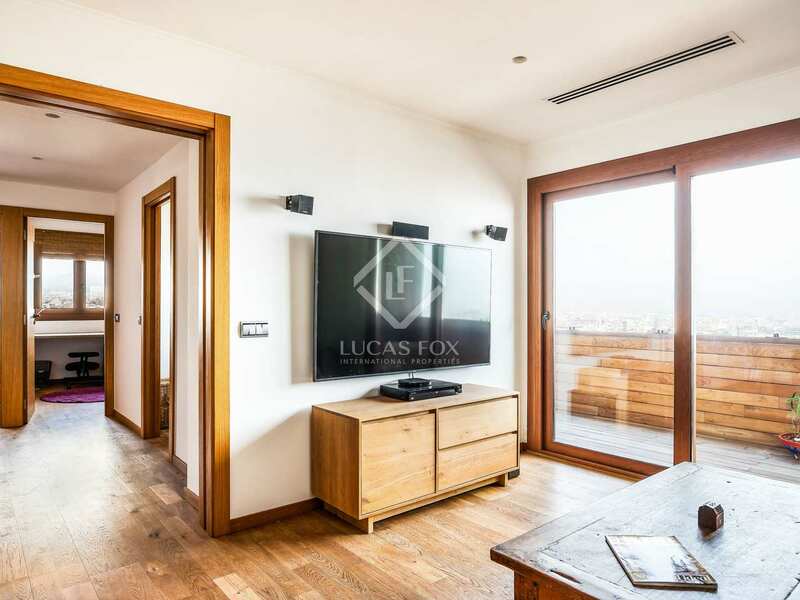 The property has beautiful natural oak flooring, interior / exterior acoustic insulation and is equipped with a heating and cooling system to ensure your comfort at any time of year. 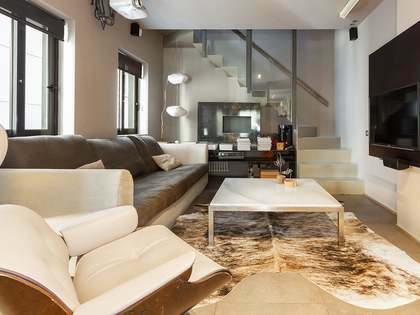 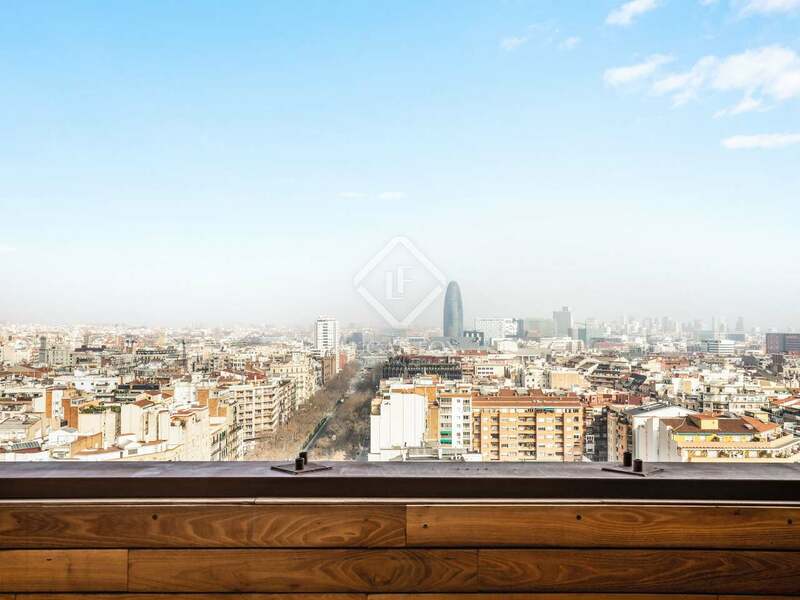 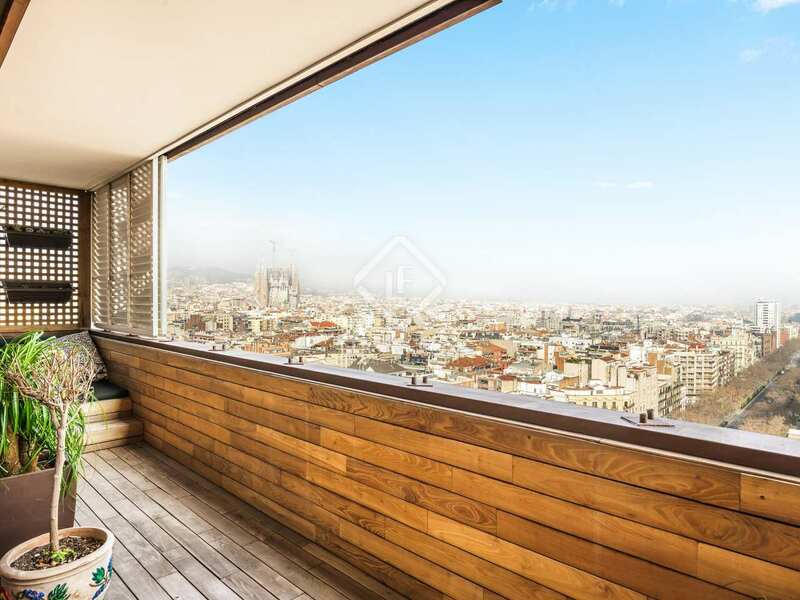 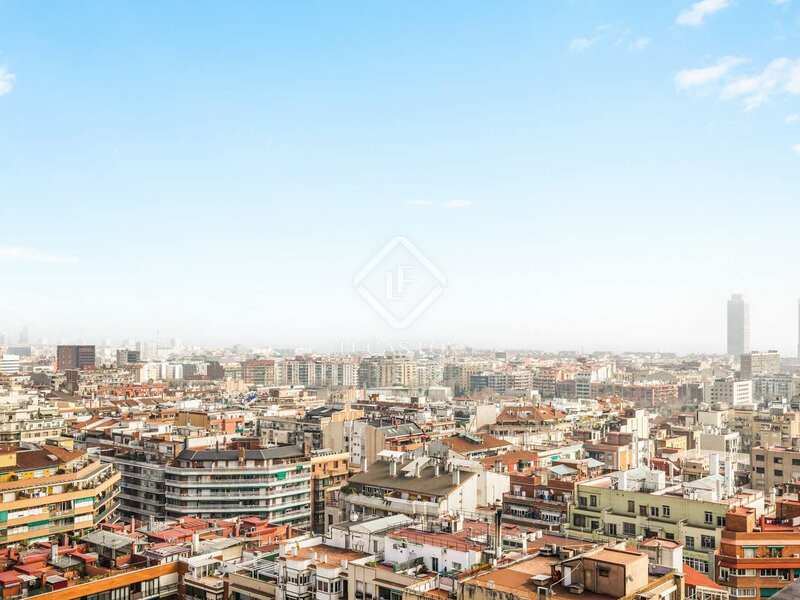 Contact us to visit this apartment with incredible views of the city of Barcelona. 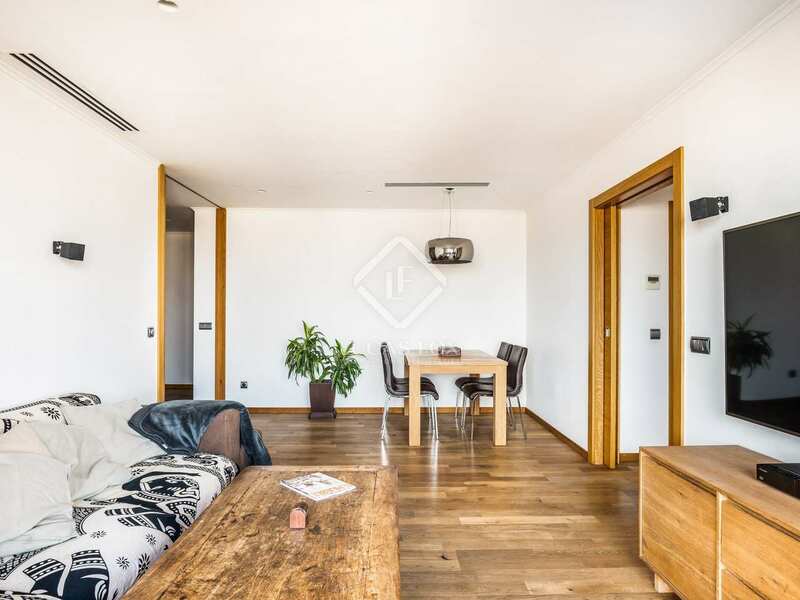 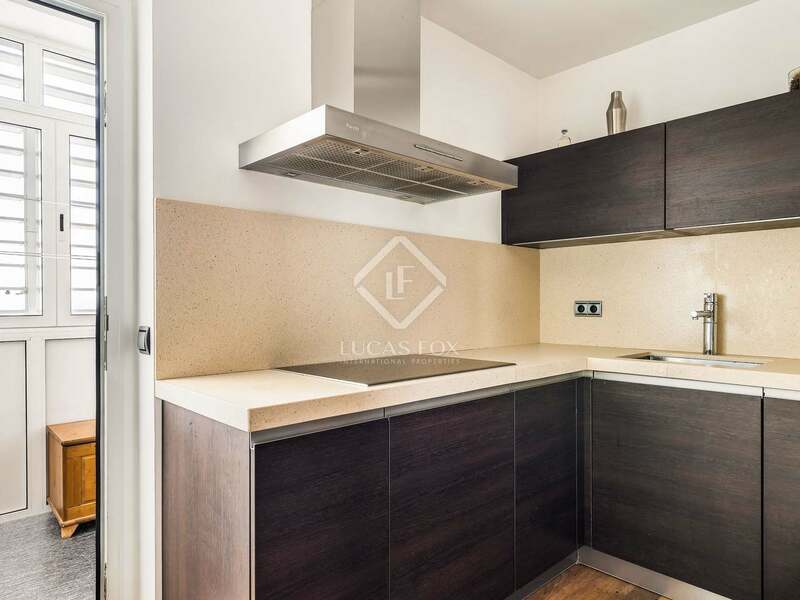 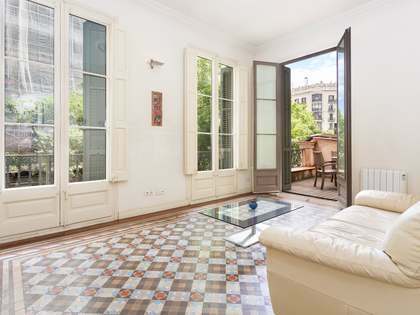 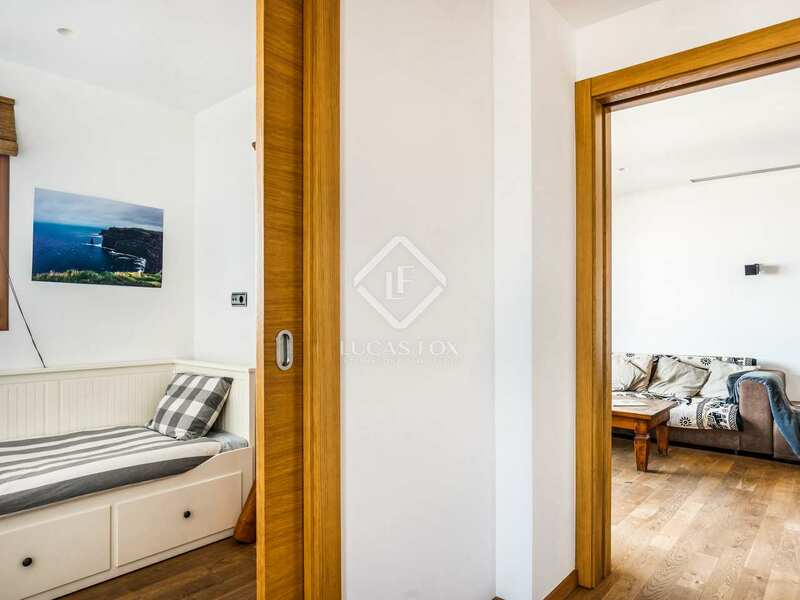 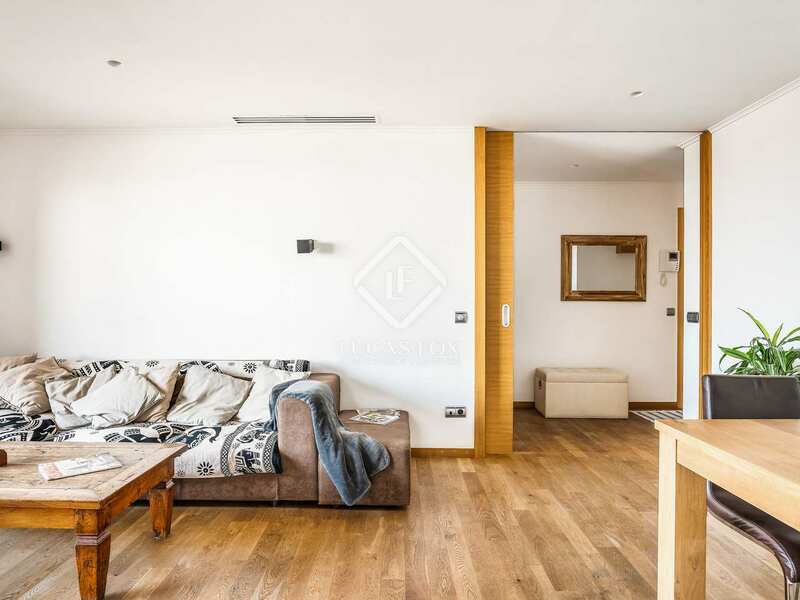 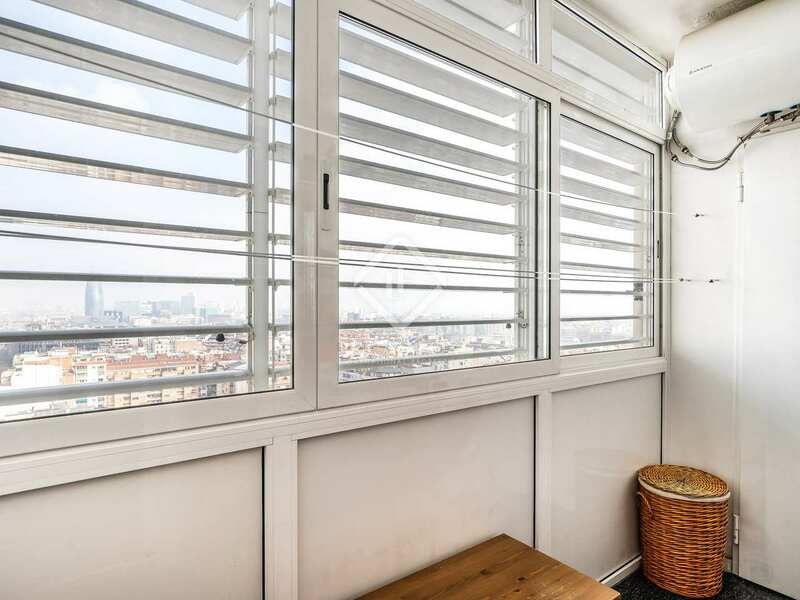 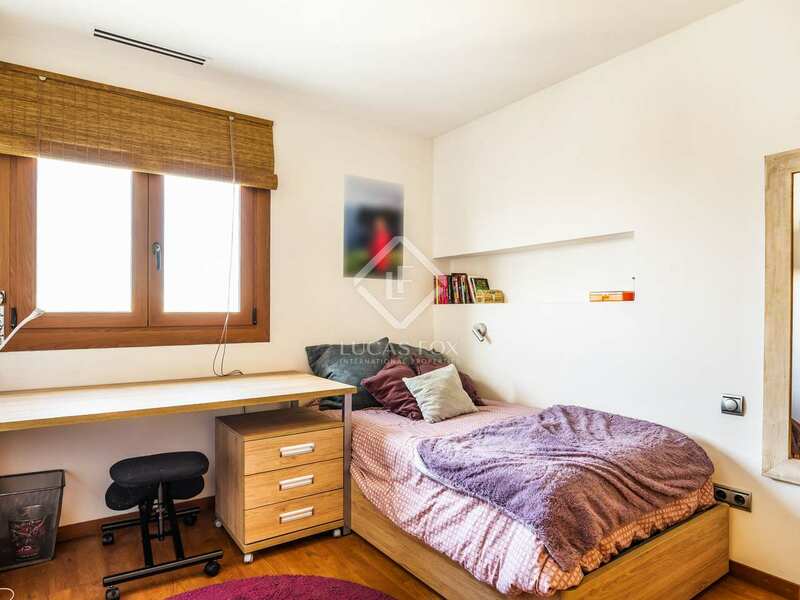 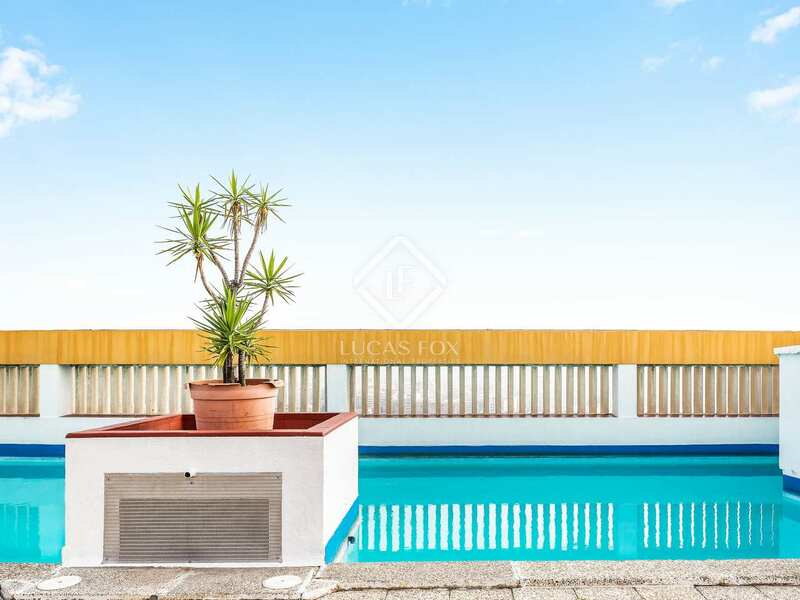 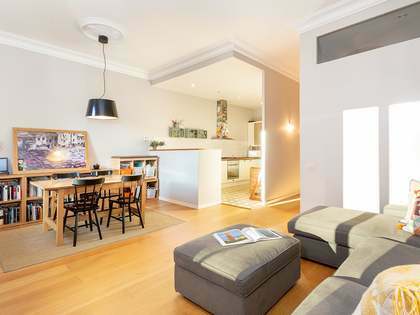 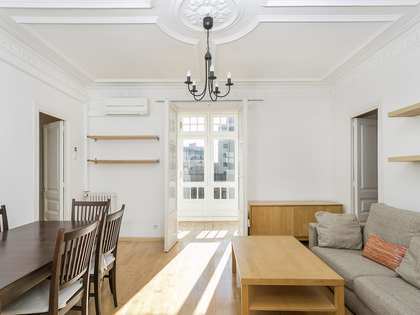 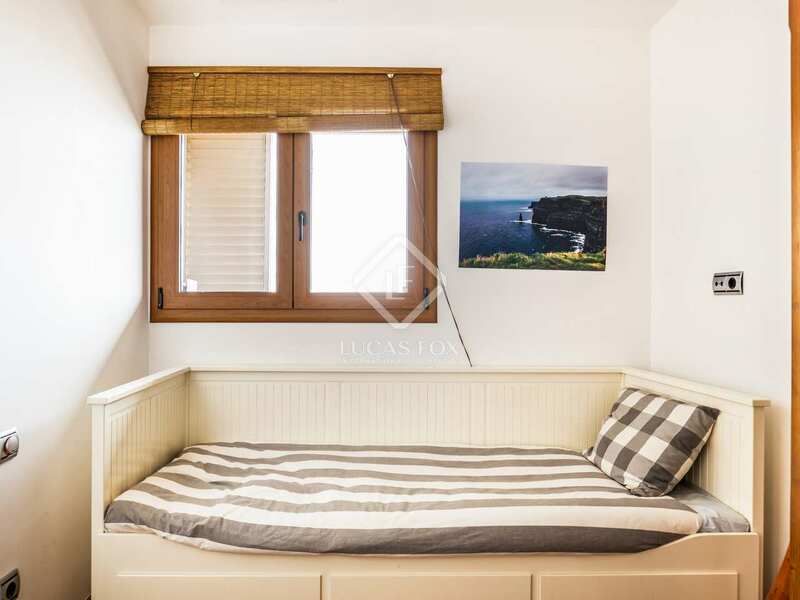 This property enjoys an excellent location in Eixample Right, a neighbourhood with all the necessary services for daily life, such as supermarkets, shops of all kinds, health centres, schools, restaurants and bars, among others. 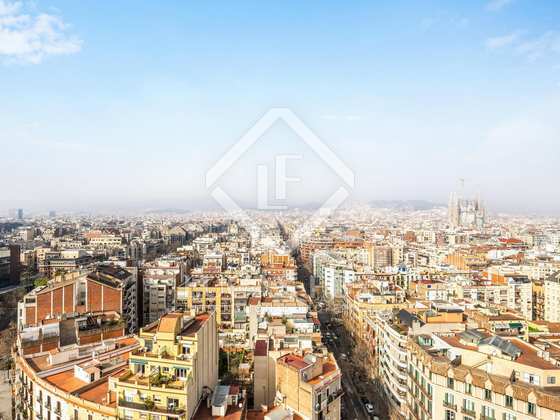 In addition, it enjoys an excellent public transport network to move comfortably around the city, although it is easy walking distance from charming neighbourhoods like El Born, an area full of excellent restaurants, trendy bars and exclusive modern shops.